THE BRITISH RAILWAY STORIES LTD: "Slug, Scot & Duchess"
What's this? A diesel?! Yes indeed, and it is one I've been waiting for a very long time. 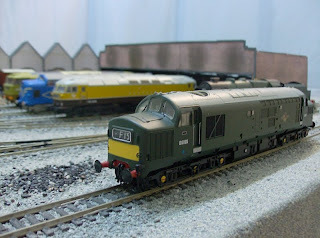 I finally found this model in the Loughborough Model Centre - I've wanted an English Electric Class 37 (nicknamed "Slugs") for quite a while now, and originally I had wanted one with the split headcode panels. However I saw this one on the shelf, and...well, the rest is history! 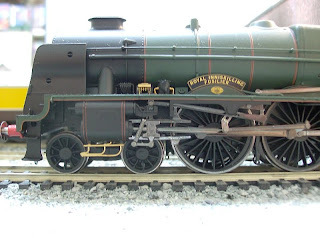 Bachmann when they released this model, took a lot of criticism from a lot of quarters in the modelling press that the model just didn't look the part - the front end not being well shaped as per prototype. To those people, I salute you - as I can live with whatever little discrepancies there are. I bought this second hand for a very reasonable sum and love it to bits. 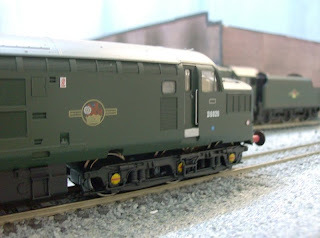 EDIT: Reliably informed by a friend that since my diesel is a 37/0, it should be nicknamed a "tractor" - the slugs were the 37/9s apparentally! Learn something new every day - thanks Hiesler! 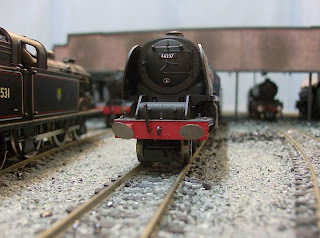 And here is a very special model - my great friend, Mr Syret, bought this for my 22nd birthday. 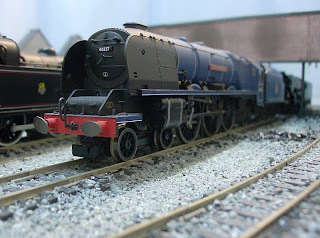 It's a Hornby Royal Scot, and this is 46120 - Royal Iniskilling Fusilier. 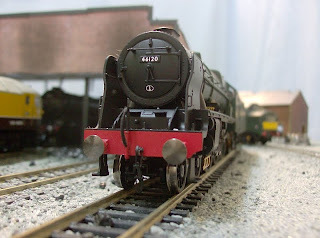 46237, City of Bristol, a "semi-streamlined" duchess class locomotive. 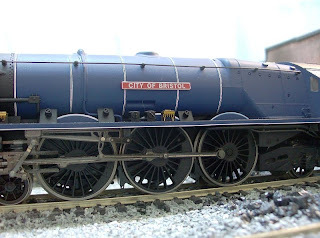 One of my favourite models, I bought this purely for its express passenger blue livery, as the class in this form wears it incredibly well. It's just a shame I didn't notice the buffer was squeew whiff! 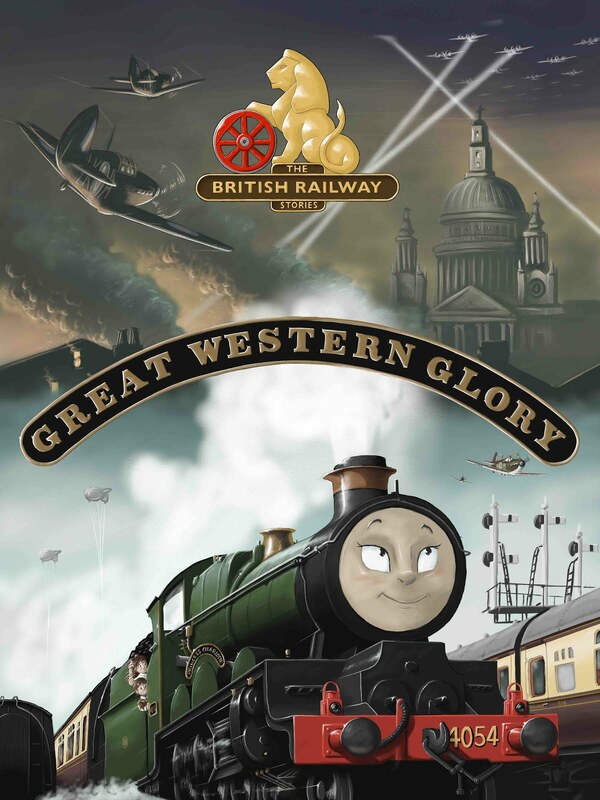 Never mind, it still looks the part amongst the other engines. 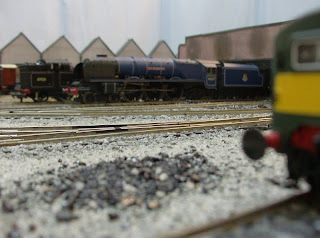 Until next time - less motive power orientated, and more layout orientated when I finish the ballasting!